LOS ANGELES, March 29 (Xinhua) -- The Mars helicopter of the U.S. National Aeronautics and Space Administration (NASA) has completed its flight tests, according to a release of NASA's Jet Propulsion Laboratory (JPL) on Thursday. 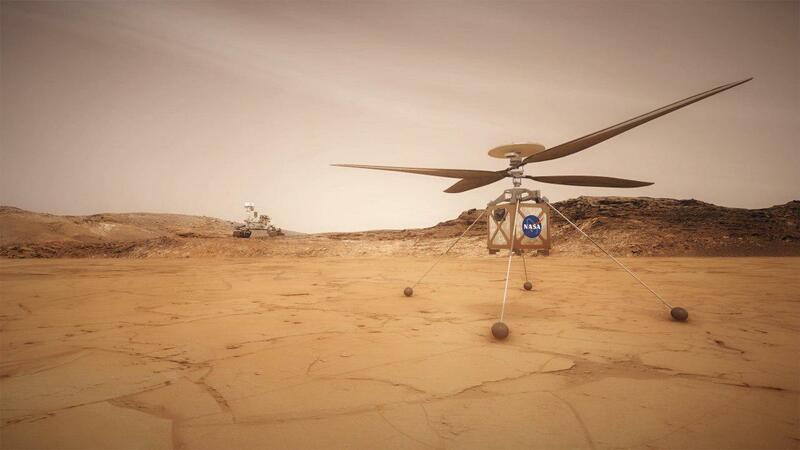 In late January 2019, all the pieces making up the flight model of NASA's Mars helicopter, the actual vehicle going to the Red Planet, were put to the test. The majority of the testing for flight model had to do with demonstrating how it can operate on Mars, including how it performs at Mars-like temperatures, can the helicopter survive the cold temperatures on Mars. All the testing is geared towards February 2021, when the helicopter will reach the surface of the Red Planet, firmly nestled under the belly of the Mars 2020 rover, according to the release. A few months after its landing, the helicopter will be deployed and make test flights up to 90 seconds. It will be the first flight from the surface of another world, said the release. "Gearing up for that first flight on Mars, we have logged over 75 minutes of flying time with an engineering model, which was a close approximation of our helicopter," said MiMi Aung, project manager for the Mars helicopter at JPL. "But this recent test of the flight model was the real deal. This is our helicopter bound for Mars. We needed to see that it worked as advertised." While flying helicopters is commonplace here on earth, flying hundreds of millions of miles away in the thin Martian atmosphere is something else entirely, said the team. Creating the right conditions for testing on earth presents its own set of challenges. Aung said the Martian atmosphere is only about one percent the density of earth's. The team did the test in JPL's Space Simulator, a 7.62-meter-wide vacuum chamber, which created similar atmospheric density as on Mars. Furthermore, to truly simulate flying on Mars required to take away two-thirds of earth's gravity, because Mars' gravity is that much weaker, said Teddy Tzanetos, test conductor for the Mars helicopter at JPL. The team accomplished this with a gravity offload system -- a motorized lanyard attached to the top of the helicopter to provide an uninterrupted tug equivalent to two-thirds of earth's gravity. 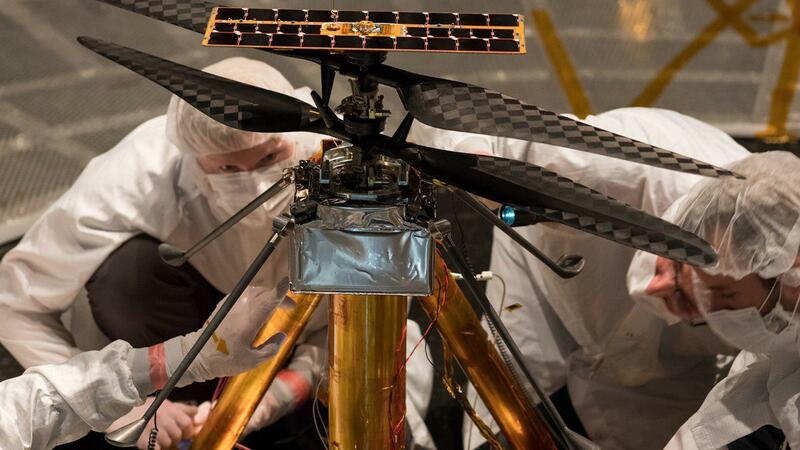 The Mars helicopter will launch as a technology demonstrator with the Mars 2020 rover on a United Launch Alliance Atlas V rocket in July 2020 from Cape Canaveral Air Force Station, Florida. It is expected to reach Mars in February 2021, according to NASA. Scientists will use the instruments aboard the rover to identify and collect samples of rock and soil, encase them in sealed tubes, and leave them on the planet's surface for potential return to earth on a future Mars mission, according to NASA.